Agile Data is a unique SQL/NoSQL access library that promotes correct Business Logic design in your PHP application and implements database access in a flexible and scalable way. We have designed Agile Data to be very friendly for those who started programming recently and teach them correct patterns through clever architectural design. 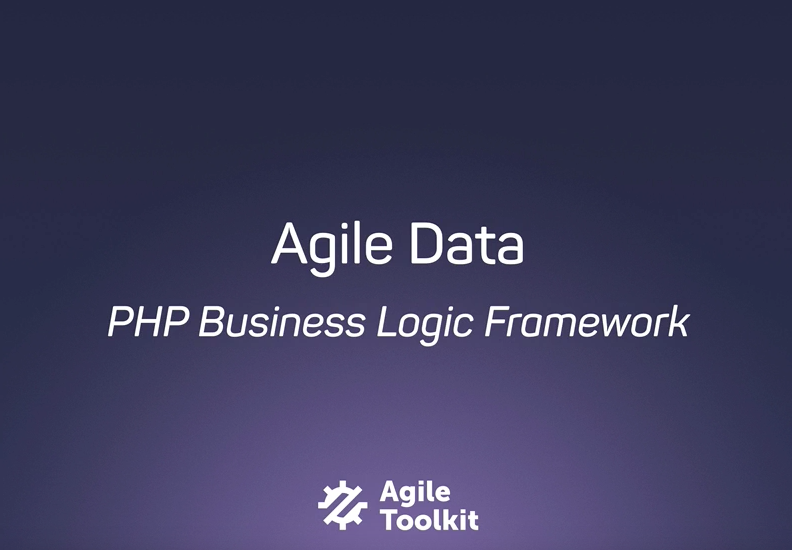 Agile Data carries the spirit of PHP language in general and gives developer ability to make choices. The framework can be beneficial even in small applications, but the true power of Agile Data is realized when it’s paired with Agile UI or Agile API projects. (https://github.com/atk4/ui, https://github.com/atk4/api). Each of the above corresponds to a PHP class, which may use composition principle to hide implementation details. By design, you will be able to mix and match any any Field with any Database to work with your DataSets. Meta-information may be a persistence detail, (Field::actual) or presentation detail (Field::ui). Field class does not interpret the value, it only stores it. Model object is defined in such a way to contain enough information to fully provide all information for generic UI, or generic API, and generic persistence implementations. Unlike ORMs Model instances are never created during iterating. Also, in most cases, you never instantiate multiple instances of a model class. While both achieve similar things, the SQL-like code is what we call “persistence-specific” code. The second example is “domain model” code. The job of Agile Data is to map “domain model” code into “persistence-specific” code. The design and features of Agile Data allow you to perform wider range of operations, be more expressive and efficient while remaining in “domain model”. In normal application, all the database operations can be expressed in domain model without any degradation in performance due to large data volume or higher database latency. It’s typical for a web application that uses Agile Data in “domain model” to execute no more than 3-4 requests per page even for highly complex data pages (such as dashboards) and without use of stored procedures. Another important aspect of Domain-model code is that fields such as gross or name can be either a physical values in the database or can be mapped to expressions (such as vat`+`net ). A typical method of your model class will be written in “domain-model” code. the actual execution and number of queries may vary based on capabilities of persistence. The above example executes a total of 2 queries if used with SQL database. When you use persistence-specific code, you must be aware that it will not map into persistences that does not support features you have used. A final type of code is also persistence-specific, but it is agnostic to your data-model. The example would be implementation of aggregation with “GROUP BY” feature in SQL. Although in most cases you would be executing operation against SQL persistence, Agile Data makes it very easy to use models with a simpler persistences.